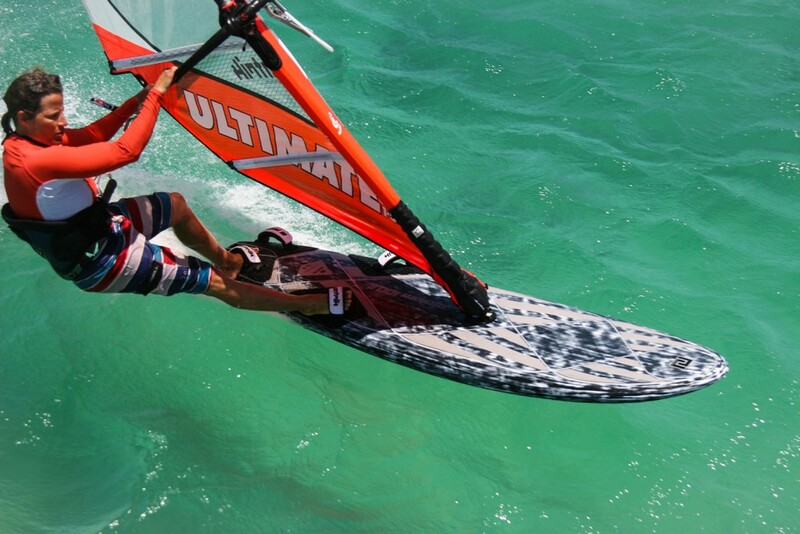 PATRIK slalom: More tuning possibilities for more perfomance! 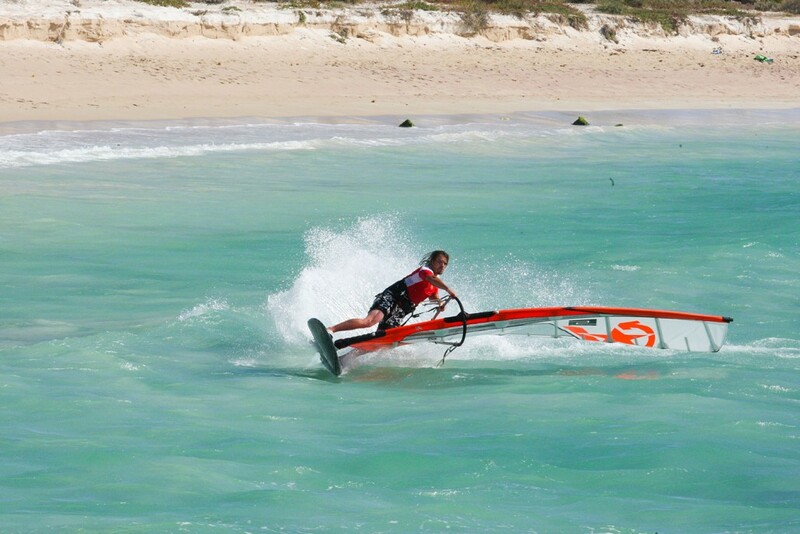 The bottom curve is designed to glide as low and smooth as possible over the water but still have enough height under the masttrack area and at the nose so as not to stick to the water or dive into the upcoming chop. 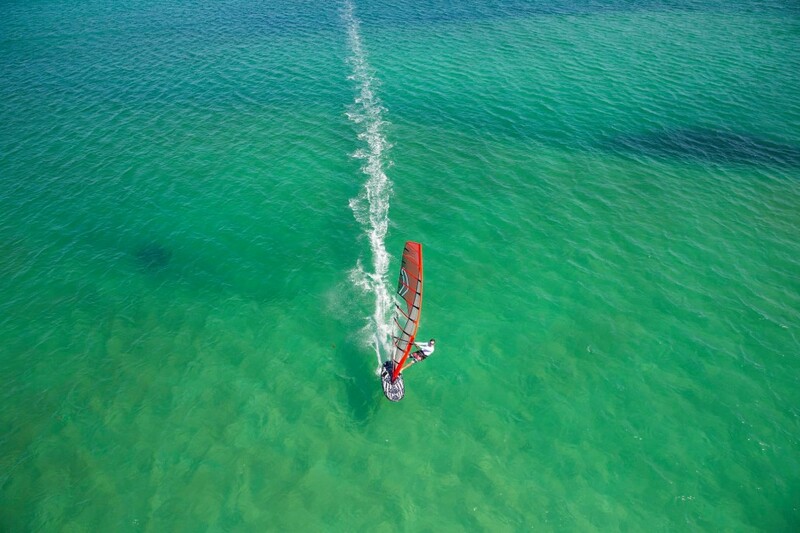 Slalom 87 and 92 The performance ratio is designed for more control, which improves both top speed in rough conditions and enables easier gybing. 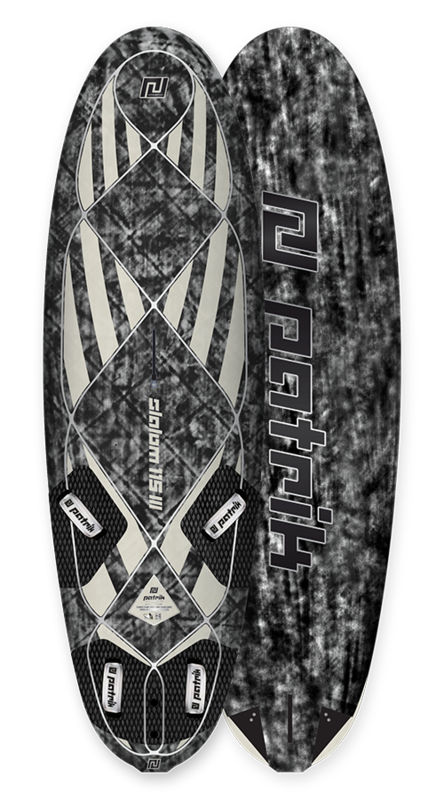 Slalom 100, 110 and 115 The performance ratio is designed to have increased acceleration and top speed. 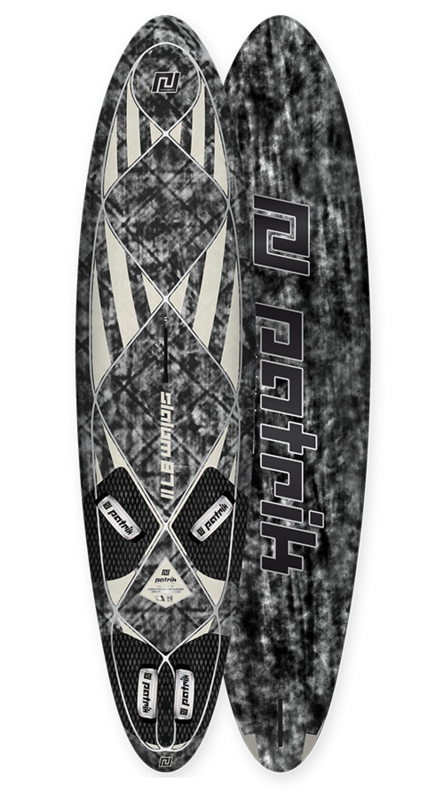 Slalom 122, 128 and 135 The performance ratio is designed for earlier planing and acceleration. 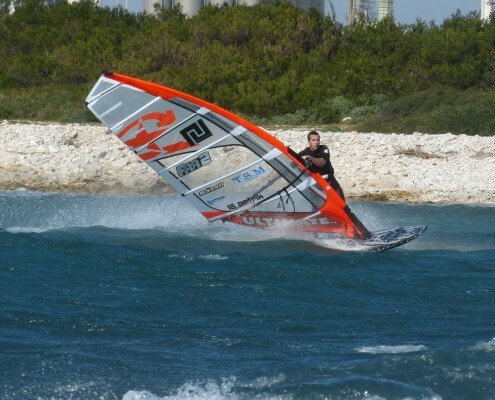 Slalom 87, 92, 100, 110, 122 Flat panel Vee in the tail to the mid section for control and speed. The front section has an increasing Vee shape with double concave and side flats for a smoother ride and to give the rails more height to clear the water whilst fully planing. 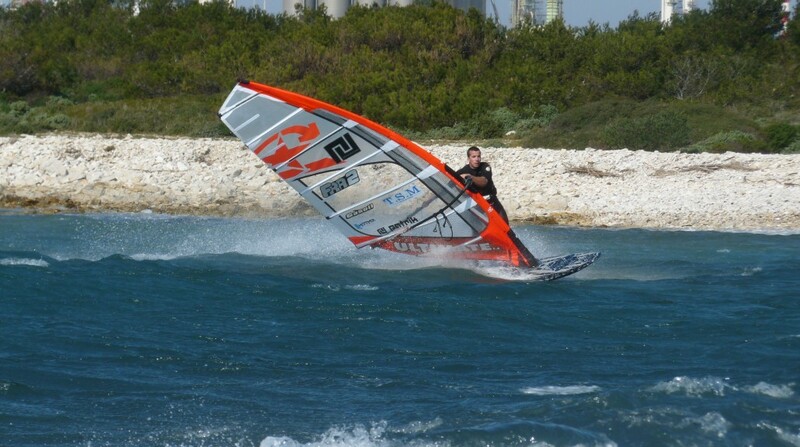 Slalom 115, 128, 135 Invert V in the tail which gives more lift for better planing and more acceleration. Flat panel V starts under the front footstrap and runs into an increasing Vee shape with double concave and side flats for a smoother ride and to give the rails more height to clear the water whilst fully planing. 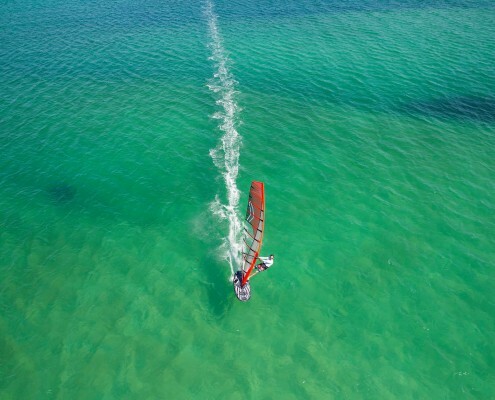 S-Deck: Lower back foot, higher front foot and lower mast track allow a comfortable sailing position and outstanding control during cross and down wind reaches. 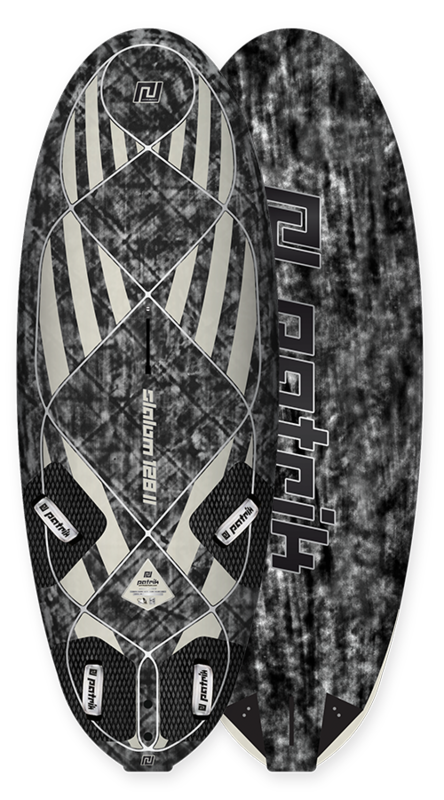 Slalom 87 and 92 Slight dome in the deck to maintain volume whilst still having the deck as flat as possible to increase responsiveness to foot pressure for easier and more controlled gybing. 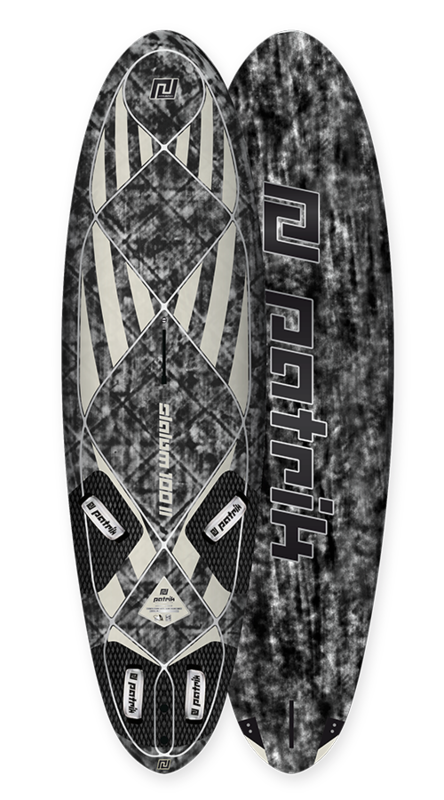 Slalom 100, 110, 115, 122, 128 and 135 A flatter deck makes the board responsive to foot pressure for easier and more controlled gybes. Slalom 87, 92, 100, 110, 122 The smaller tail surface reduces drag and trims the board in a more lateral free gliding position wheras the rail cutout trims the board more to the leward side which helps releasing the upwind water pressure and increase acceleration and top speed. 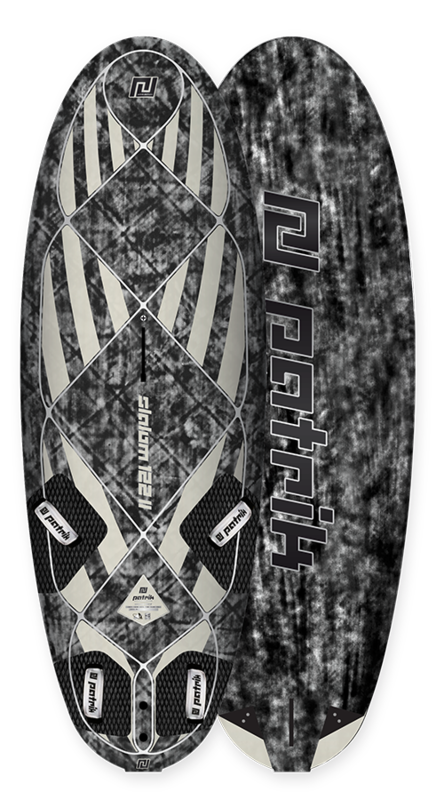 Slalom 115, 128 and 135 With the new tail and rail cutout geometry the board rails a bit more to the leeward side which releases the upwind water pressure more. 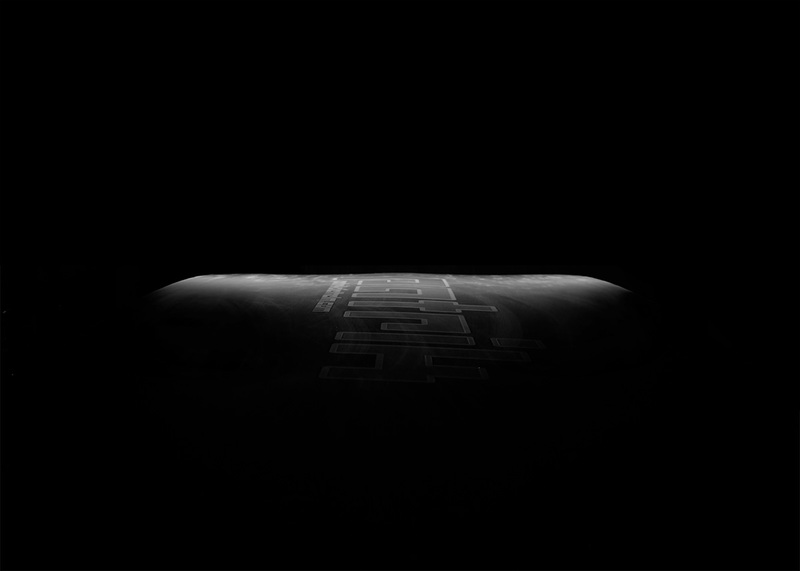 Together with the reduced wetted surface the top speed incresed significantly. 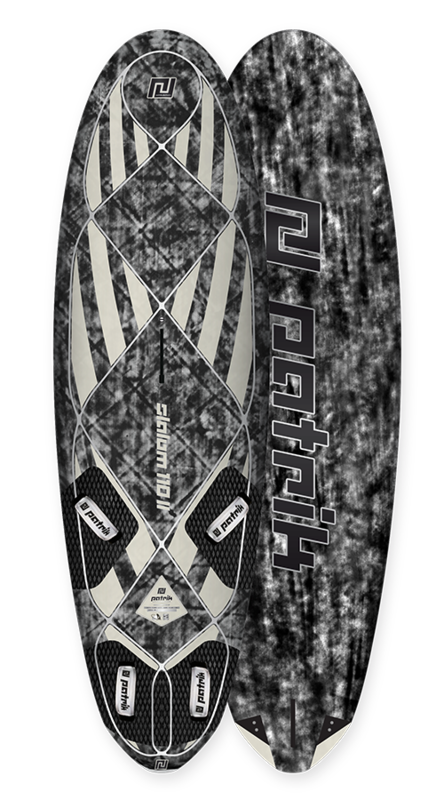 Slalom 100, 110, 115, 122, 128 and 135 The adjustable plates can be adjusted in height. 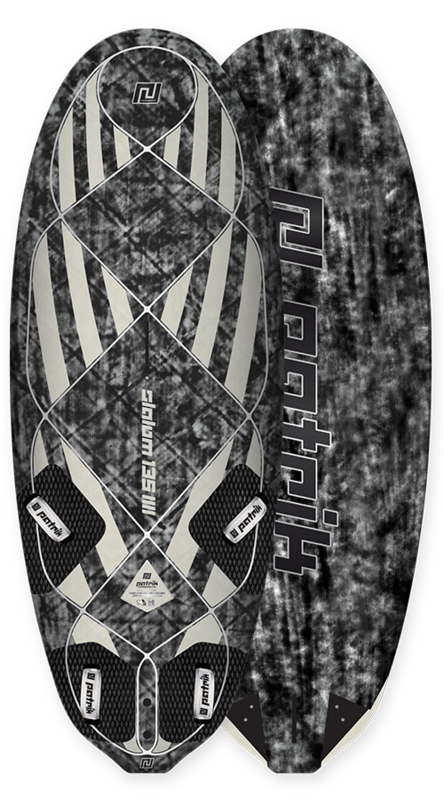 The deeper cutouts have less drag and more top speed whilst the lower cutout depth has increased pressure (lift) in the tail which makes the board riding more flat and helps early planing and control. For individual use a range of cutout plates with different geometry are offered as an accessory to be able and fine tune the board even more. 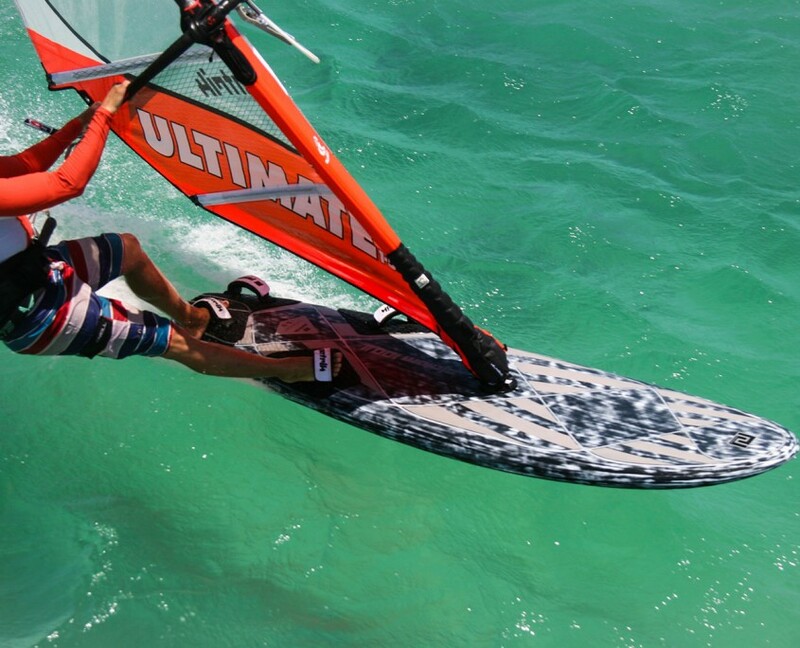 The heel wing was originated for the Formula board but some riders have tested it on the slalom board and the result was more power under the back foot for earlier planing, better acceleration and more speed in light wind. 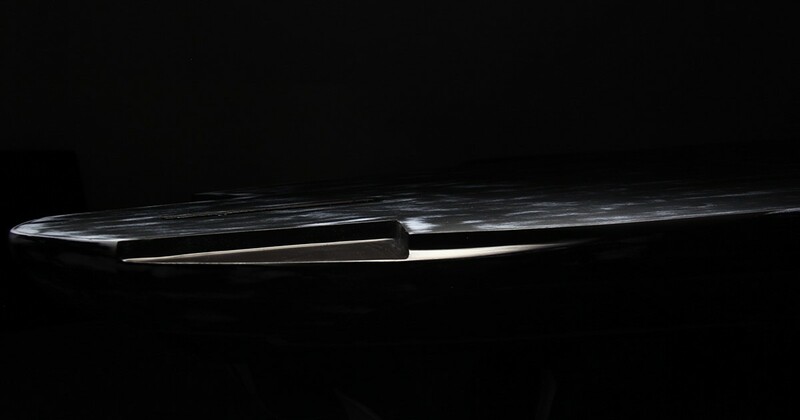 To have more options for individual fine tuning the wings are offered as an accessory.